Since we will be getting to know you, we think you should know about how we started. On June 1st 2008, we start to build our team to sail my dream. With in three years, our exporting and importing business went into Panama, Mexico, Venezuela， Dubai， UK , United stats. And we helped more than 10 customers started the business of electrical products from an amateur to an export. It only gets better from us, in looking at the future of the TOPELE company, we are far from the success. In fact, we are increasing our efforts as we continue to expand our products and to explore our market. All of our efforts are driven by a focus on perfect products and excellent service. 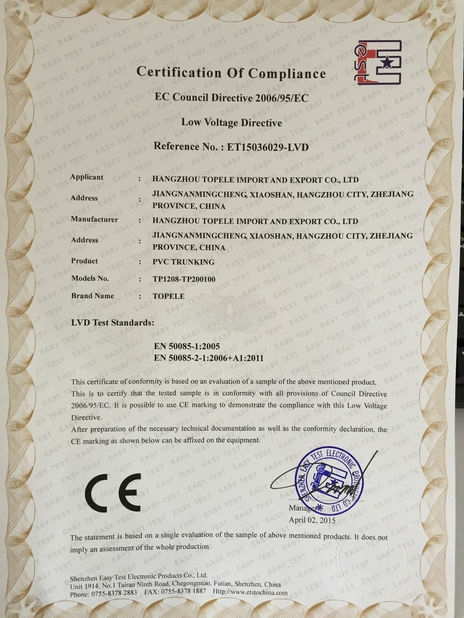 TOPELE enterprise co., ltd is engaging in the export of electrical conduit & accessories as well as lightings devices worldwide in more than 40 countries since 2008. It began with a small team with little products like EMT CONDUIT, IMC CONDUIT, RIGID CONDUIT AND CHANNELS. Each workers witness our process. TOPELE developed and growed to have all kinds of fittings for conduits, various fittings for channels and lights. Today, TOPELE is stronger than ever and build our own brand "TOPELE " to customers all over the globe. From construction to manufacturing our products are in the center of it all. Whether they’re part of a building as electrical raceways, sprinkler pipes, structural tube and perimeter security or being used by OEM or retailers with their own brand to make their product, just check the specs. We are there! Beyond that, we strive to be core to each customer’s business as well, understanding what they value and need, providing essential solutions that improve their day-to-day operations. In 2008, we founded the TOPELE with small team. In 2009, we invited professtional photographer to take the photos of all products. Then the first version of catalogue was done. In 2010, we attended the canton fair to explore our business to the world. In 2011, we developed many new items for the market, mading the mould for customer according to their drawing or samples. It takes TOPELE coming into a new chapter. 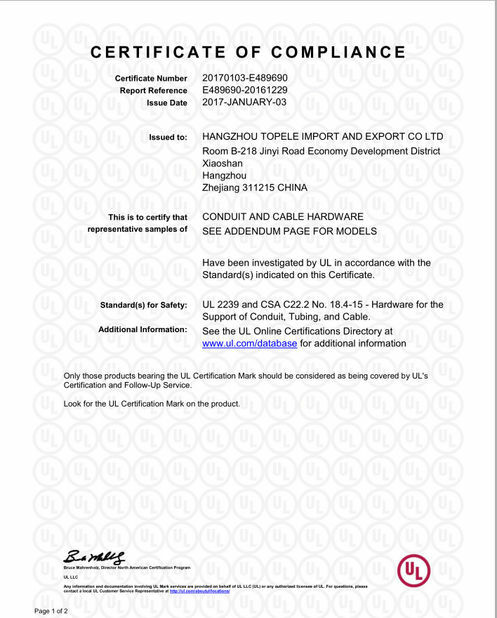 In 2012, We registed our own brand " TOPELE" and designed the beatiful shipping marks with all products' details on packing. In 2013, we attended the canton fair, creating the change to talk with our customres face to face. To make every customer to know us better and make us to know customer better. In 2014, we went to American and attended the LAS VEGAS HARDWARE SHOW. 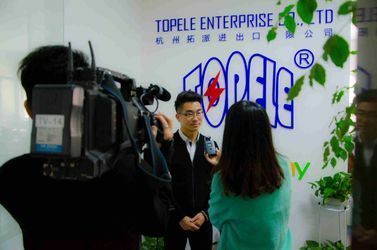 TOPELE enterprise co., ltd is innovative , providing excellent quality products , we work as a team and we are committed to meeting the needs of our customers, we believe in working with social , environmental , family, and corporate responsibility.We are positioned for continued growth, expansion and innovation, which means our best days – and products – are yet to come. 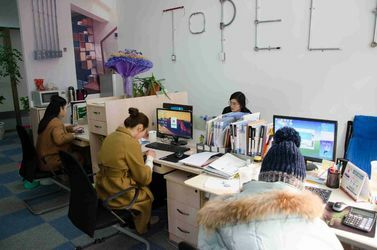 TOPELE enterprise co., ltd is engaging in the export of electrical appliances & accessories as well as lightings devices worldwide in more than 40 countries. As a leading exporter of professional electrical materials, TOPELE is in possession of sufficient experience and advanced knowledge about our products, therefore, we are confident that we are able to meet what you require. Meanwhile our products are priced at a very reasonable level with nice quality that enables our customers to keep ahead of competition. With the developing of the company, we have a great team. We not only provide the normal products as ususal. The customized items can be made according to the detailed drawings or samples. 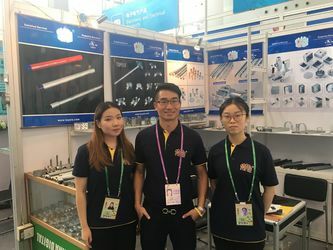 We attended canton fairs and LAS VEGAS HARDWARE SHOW to meet our customer and to talk with them face to face. It helps us to know customer's need better and serve them better. We visited the customers in Amecian, in Panama, in Singapore and in Philippine. We learn to know each clients in deeply and collect the feedback in order to take much better products and service to them. The company does many OEM services to the customers. The customer's logo can be printed on pipes and channles as well as the logo and size can be engraved on fittings like connectors and electrical boxes. We invited the designer to design the photo of shipping marks to make it as beautiful as we can. 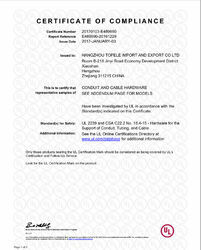 TOPELE as a registered company brand has been accepted by many customers from Colombia, Philippine and Iraq. It is printed on EMT CONDUIT, IMC CONDUIT, RIGID CONDUIT and engraved on EMT CONDUIT FITTINGS, IMC CONDUIT FITTINGS AND RIGID CONDUIT FITTINGS. We sincerely look forward to having an opportunity to serve you and become your partner in the near future. Let's work together to make the business better and better. 1. Production department who charge for the producing schedule, control the delivery time. 2. Quality control department who are responsible for the quality of goods and packing . 3. Financial department who are functional to acquire the funds and manage the funds for the company. 4. Sales department who act selling of products and establish the stable business relationship. 5. Research department who design and develop new mould to meet customer's unique requirement.